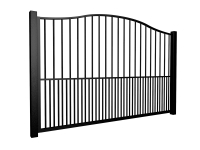 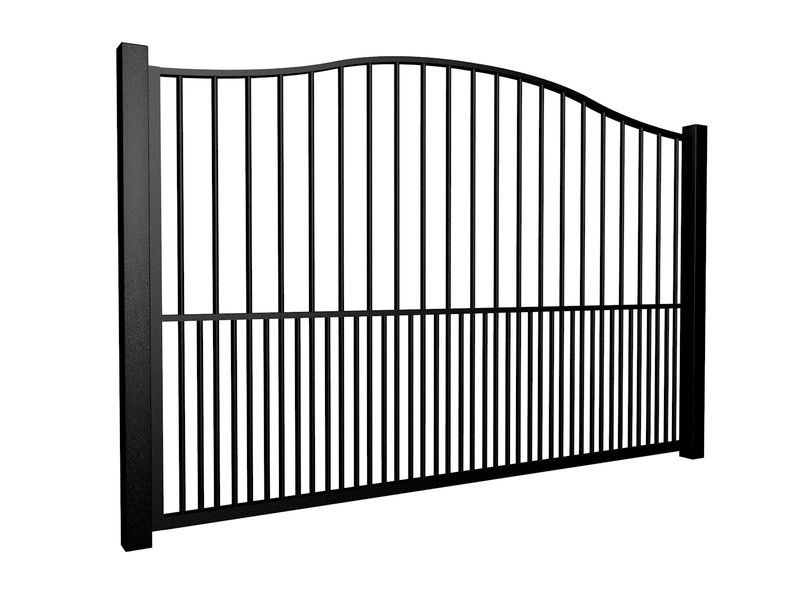 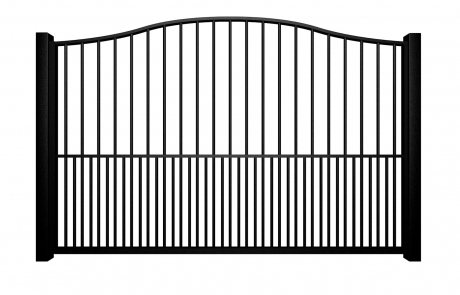 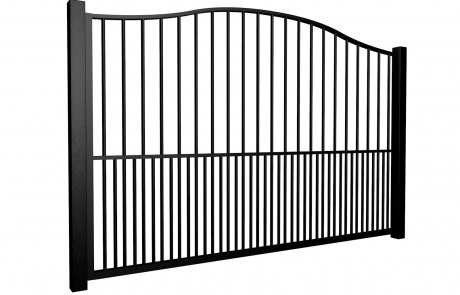 Simple but elegant and functional metal gate, suitable for contemporary and traditional homes and properties as well as commercial applications. 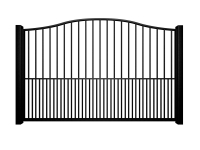 A bell-curved top sets it apart from the simpler straight topped version. 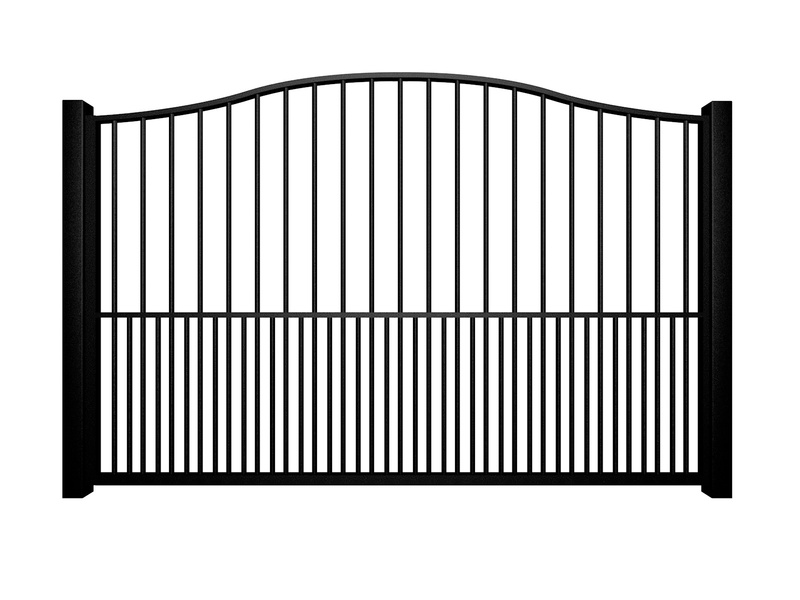 Additional dog-bars extending from the bottom of the gate for added security.